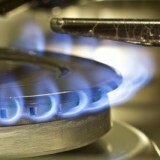 Natural gas futures soared to a two week high on Thursday, as a report from the US Energy Information Administration showed that natural gas supplies increased less than expected last week. Analysts continued to focus on near-term weather forecasts to estimate the demand for the fuel. On the New York Mercantile Exchange, natural gas futures for September delivery traded at 3.405 USD per million British thermal units during US morning trade, up 1.9%. The September contract resolved 1.75% higher at 3.342 USD per million British thermal units on Wednesday. Gas prices traded at 3.372 USD prior to the release of the US Energy Information Administration report. NYMEX gas futures increased to a daily high of 3.414 USD per million British thermal units earlier in the session, the highest level since August 1. The US Energy Information Administration said in its weekly report that US natural gas storage in the week ended August 9 increased by 65 billion cubic feet, lower than market expectations for an increase of 70 billion cubic feet. Gas inventories increased by 20 billion cubic feet compared to the same week a year earlier, while the five year average change for the week is 42 billion cubic feet. Total US natural gas storage reached 3.006 trillion cubic feet as of last week. Stocks were 252 billion cubic feet less than last year at this time and 43 billion cubic feet higher than the five year average of 2.963 trillion cubic feet for this time of year. The report showed that in the East Region, stocks were 99 billion cubic feet lower than the five year average, following net injections of 51 billion cubic feet. Stocks in the Producing Region were 86 billion cubic feet higher than the five-year average of 967 billion cubic feet after a net injection of 4 billion cubic feet. Updated weather forecasting models pointed to warmer than normal temperatures in the northern tier of the US in late August, raising summer cooling demand for the fuel.